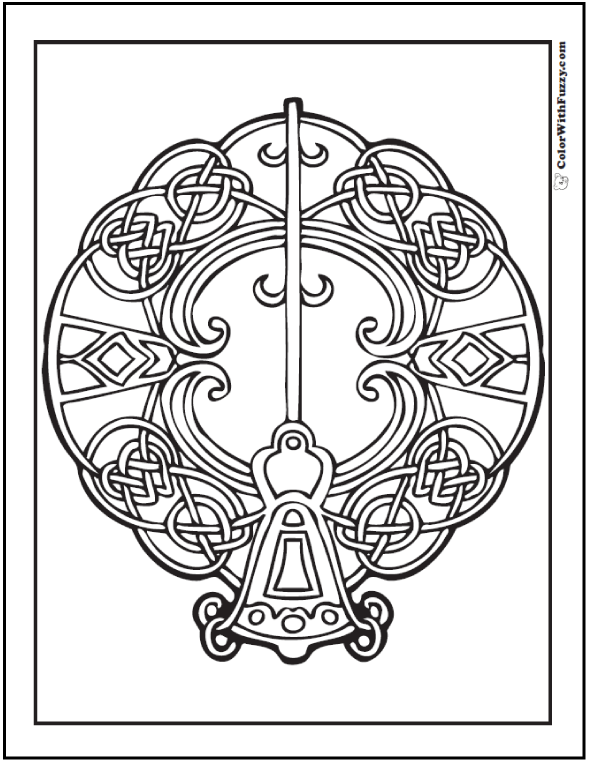 This key is centered in this Celtic coloring page on a ring of infinity knots. Maybe it's an ancient bell? This PDF prints to 8.5x11 inch paper. Is this a key or a bell?